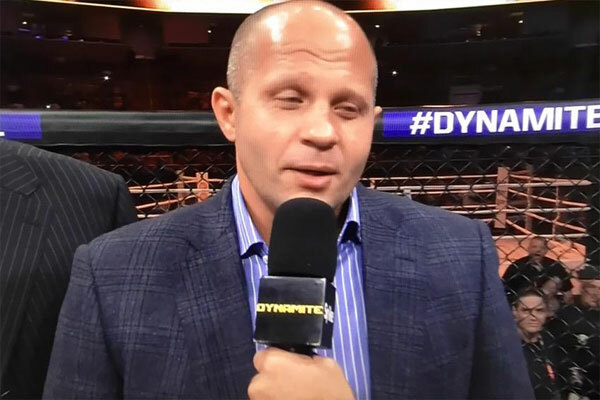 The mixed martial arts world had been reeling for the past week after rumors started circulating the nature of Fedor Emelianenko’s return fight for Japan’s new Rizin Fighting Federation. So far, the scuttlebutt was that Fedor would fight Jaideep Singh, an experienced kickboxer who’s just 1-0 in MMA. While not surprising for a promotion aiming to be “the new Pride FC,” in 2015, with that type of matchmaking much less common in major promotions, it was generally seen as a negative. No, definitely it isn’t. But… Fedor makes all the decisions by himself now. In our past, all troubles and accusations used to befall on me. They said that I was the reason that Fedor didn’t fight in UFC. But now I say officially: I don’t have any relations to this one. Nothing. As for Jaideep Singh, I think he is no match to Fedor Emelianenko. Too weak opposition for him. They offered me to join. About 1 year ago Sakakibara called me. But I didn’t take it seriously. I don’t believe in such projects. Look, I have a company and many contracts with Television. How we will share this? Who will own all of this? Should I keep it, of Japanese will take it from me, or will we cut it somehow? And what if I have already obligations to some Japanese TV-channel? My professional opinion – all they do now is some kind of shady enterprise. But I don’t have enough info – so let’s see where will they come in the end.